I love my friends and I adore when they want to play with me. It seems like I’m not the little girl with no depth perception who was last to be picked for the softball team after all. I won’t go all Sally Field on y’all though. Promise. This week’s tag was by my friend Mackenzie Crowne. She’s a friend who I met through Still Moments Publishing and she’s just adorable. Check out her post on the tag game here. Her tag game is called Zig-zag and it seems I’m supposed to find in my WIP the word look and post the surrounding text. Once that’s done, I have to tag five more awesome writers. Here goes. “Jimbo did what?” The man in question was back with their drinks. He set them down and slid back in beside Kes. “Yeah. Look at you now. With the scruff on your face, the ponytail, the tan and the extra muscles, I daresay that no one from the past would recognize you today as the short-haired, strait-laced, uptight prosecuting attorney that you were.” Jimbo flicked Kes’ ponytail. “What happened? I don’t think I ever heard. I only heard that you were a lawyer before you came to work with us.” Mike took a swig of his beer. “Long story. I’ll tell you sometime if I ever get rip-roaring drunk enough to want to think about it again.” Kes drained his own glass and slammed it down on the table just as Captain Graham came back to the table. Next week, When I get the other tag I’ve been warned is coming, some more of you will be tagged. No one is safe. Be very afraid. 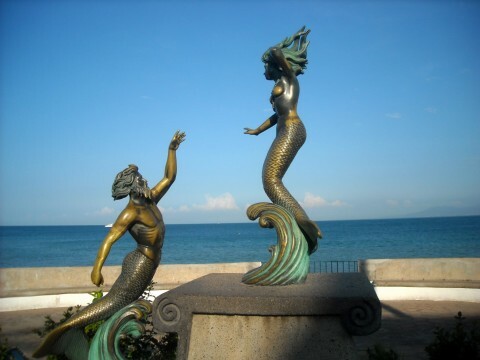 Oh and for fun, here’s a picture I took in Puerto Vallarta on the waterfront. This location plays a part in my WIP I’ve featured here. I love your excerpt. I’m intrigued already. I can’t imagine what I’ll find when I go LOOKing in my NaNoMo mess. Thanks Suzanne. It means a lot that you like the excerpt. Good luck on your own LOOKout in your what I know is NOT a mess. Fun in the sun! Good work. Thanks Liv. I appreciate it. It means a lot that you think it’s good. Be ready, I’m planning to tag you next week in the as-yet unknown game I’m on notice that I’ll be tagged to play! Okay. THAT came out of NaNo, Jill? It’s supposed to be crap. You’re supposed to write a lot … of crap. Didn’t you get the memo? 😉 Thanks for playing along. LOL Mac!! Thanks. I’ve tried to write crap but it’s against my religion. LOL Thanks for tagging me. It was fun! LOL- sometimes I wonder about WP and stuff not translating right. I won’t tag you if it freaks you out, Laurie. I have ignored tags before and I’ve lived to tell the tale (ducks from lightning). Thanks for the compliment on the unedited NaNo. Yep, unedited for sure. Thanks for thinking it’s excellent. I’m thrilled! !